History: Camp TURTLE ROCK was created to provide campers the highest quality experience and make a positive difference in their lives. 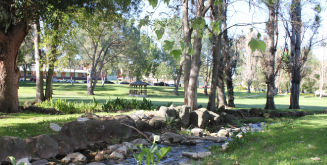 Camp Turtle Rock is located at Cal Lutheran University in Thousand Oaks and is operated by Camp Summertime, Inc. which was established in 1965 as a traditional day camp in the Agoura Hills area. Our priority continues to be creating an enriching environment where campers can explore, create, discover and build self-esteem, self confidence, all within the beautiful facility at Cal Lutheran University. Campers will create great memories and great friendships that will last a lifetime. All counselors, staff and directors are carefully selected to provide the best experience for your child. We feel that it is our counselors, directors and staff that will make the difference to your child.